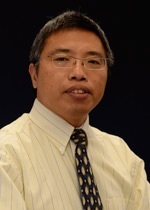 Dr. Jixiang Wu is an Associate Professor at South Dakota State University, USA. Dr. Jixiang Wu did his Ph. D.in Agronomy (Quantitative Genetics and Plant Breeding) from Mississppi State University in 2003. Dr. Jixiang Wu research interest lies in Genetic modeling, linkage mapping and association mapping, computational genetics, mixed linear models, software development.